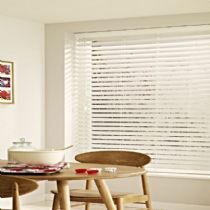 We are confident that we offer the cheapest wood venetian blinds in the UK. 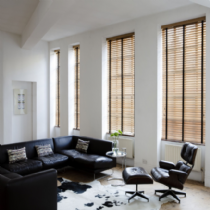 Choose from our range of budget real wood blinds or our privacy wood blinds which are the ultimate in real wood venetian blinds. 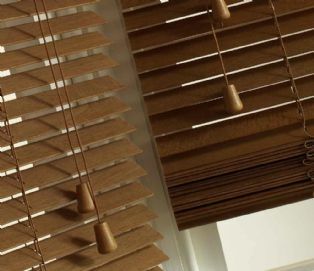 Our made to measure faux wood blinds are the cheapest wood venetian blinds in the UK for such quality. Remember, we don't sell cheap wooden blinds, we sell quality wooden blinds cheaply. If you need any assistance with ordering or measuring then please call us on 0800 783 9510 and we'll be happy to help. All our wood venetian blinds are delivered by insured parcel carriers and will arrived made to your sizes and ready to hang at your window. No cutting, no sawing, no mess, just hang and enjoy. Real wood venetian blinds brought to you by Just Blinds UK.